Restylane Silk in Rancho Cucamonga is one of the most popular dermal fillers in the Inland Empire. It is known for its ability to fill wrinkles and creases and return volume to the cheeks. But you may not have heard of Restylane® Silk. The FDA approved this addition to the Restylane® filler line in January 2015 specifically for lip enhancement. At True Beauty Aesthetics of Rancho Cucamonga, we use Restylane® Silk to add natural definition and symmetry to the lips, and to fill vertical lines. 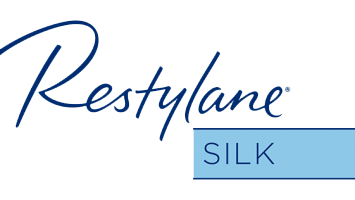 We offer Restylane® Silk in Upland as well as Restylane® Silk in Fontana. All of the Restylane® fillers are hyaluronic acid fillers. Hyaluronic acid is a substance that occurs naturally in the human body. Its job is to plump and hydrate the skin. It can do this because hyaluronic acid can hold 1000 times its weight in water. The difference with Restylane Silk is that its hyaluronic acid particles are much smaller than those found in other fillers, making it able to plump the lips without overdoing it. This creates natural-looking enhancement. WHY WOULD I WANT TO USE RESTYLANE SILK? The lips, like the rest of the body, show signs of aging. 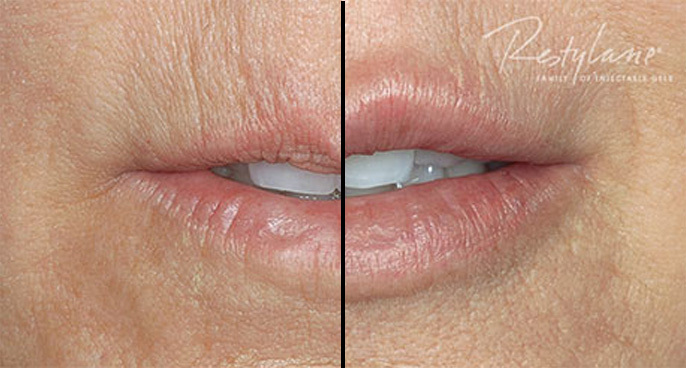 Volume loss due decreased collagen production makes your lips thin with the passing years. Shrinking lips also show more vertical lines. Other people, regardless of their age, don’t like the asymmetry of their lips and want to even them out. WHAT DOES RESTYLANE SILK WORK BEST ON? At True Beauty Aesthetics in Rancho Cucamonga, we use Restylane Silk in two ways: to enhance the lips, increasing definition and creating symmetry; and to smooth out fine lines and wrinkles on the lips and the areas surrounding the mouth. These vertical lines are sometimes called “barcode lines.” Silk is excellent at softly plumping the lips and filling out these lines. Plus, it does so without overly plumping the lips. HOW LONG WILL MY RESULTS LAST WITH RESTYLANE SILK? After Restylane® Silk was introduced in January 2015, Allergan added Volbella to the Juvederm® hyaluronic filler line in October 2016. Both fillers are very similar, producing subtle plumping of the lips, adding definition, and filling vertical lines. Volbella results last up to a year, and there is some thought that Volbella creates less initial swelling than Silk. All in all, however, these two fillers targeted specifically for the lips are very similar and provide excellent results.